Is your preschooler a fan of Dora the Explorer? 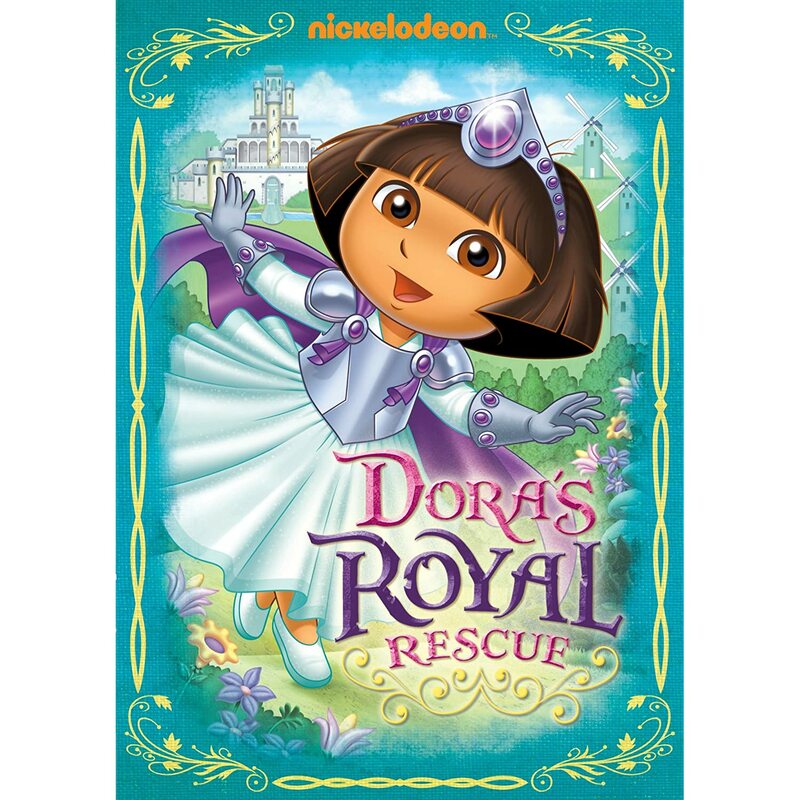 If so, Dora the Explorer: Dora's Royal Rescue, is a DVD your going to want to add to your collection. The DVD includes a double-length episode, “Dora’s Royal Rescue,” which features the voices of Andy Garcia as Don Quixote and Placido Domingo as Malambruno. Also included, is the new-to-DVD episode, “Dora’s Knighthood Adventure,” which features the voice of Garcia as Don Quixote. The evil wizard Malambruno has captured Don Quixote, locked him away in Story Castle, and taken away his books! "Lady Knight" Dora and "Squire" Boots embark on a noble quest with Don Quixote's horse, Rocinante, to save the day. Preschoolers at home must help Dora out-dance a giant spider, overcome windmills, free caged lions, and learn how to tell their very own story, so Dora can rescue the books and a fellow knight, too! This has fast become one of our car travel favorites! The boys love Dora & Boot's adventures and I love that they are defending their love of books and reading - which reinforces just how important reading is! One of the other things that I like is that because this is a double length adventure, it moves beyond the 'typical' layout a little bit, making it just different enough to be more inviting to my parental ears! As an added bonus, for a limited time, you can also print a fun Dora's Royal Rescue coloring pack to help your kids continue their love of Dora and reinforce the songs and stories they watched! Disclaimer: I received a copy of this DVD at no cost for the purpose of review. All opinions are my own.